Your body has a lot to deal with this time of year. There’s the stress of the holidays, the germs you’ll encounter from being around more sick people than usual, and the dry air you’re breathing in heated environments. 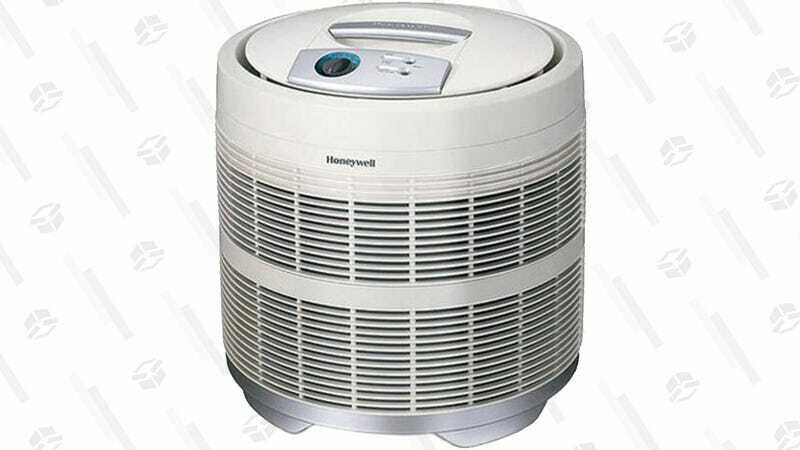 Give yourself a fighting chance at staying healthy with the Honeywell True HEPA Air Purifier, $150 at Walmart and Amazon. Sucking the dust and allergens out of the air won’t work miracles, but it may give your immune system just enough of a break to get you through the winter without succumbing to illness. If nothing else, your sinuses will probably thank you, and you’ll likely be breathing a little easier.